Step 1 Heat the oven to 325 degrees. 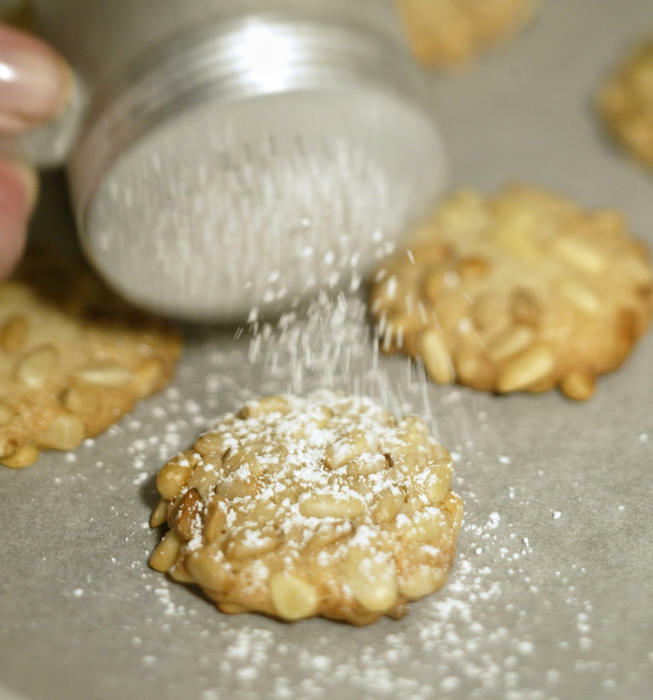 Measure one-fourth cup of pine nuts into a food processor. Pulse until coarsely ground. Break up the almond paste and add it to the food processor. Process just until mixed. Step 2 Add the sugar through the tube while the processor is running and process until the mixture resembles coarse crumbs. In Recipes-list.com we have selected the most viewed recipes from category - Desserts . Enjoy the best recipes specially selected for you! Pine nut and almond cookies is the right choice that will satisfy all your claims.